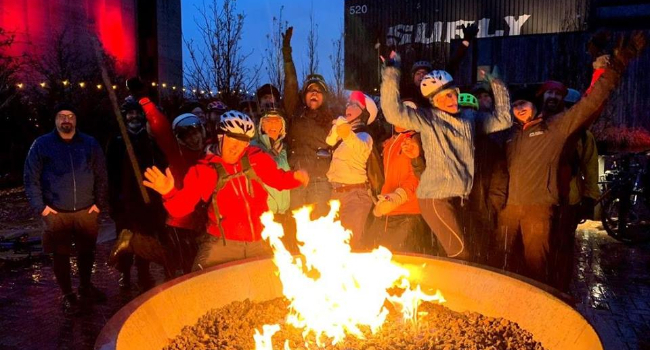 Check out these opportunities to hang out with fellow bike people over the next month with these Xtracycle dealer events! 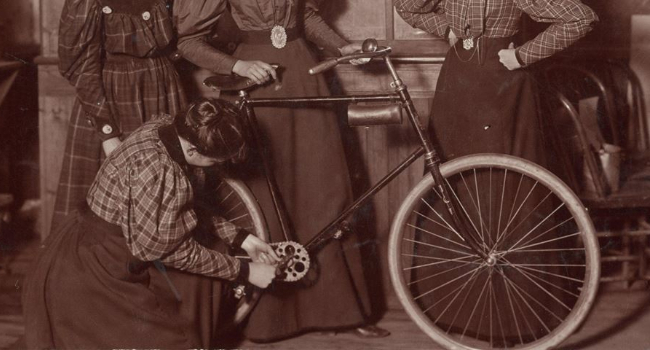 9am – 10:30am @ 10255 E. 25th Ave.
Bring the family and learn the basics of bicycle maintenance and ownership. 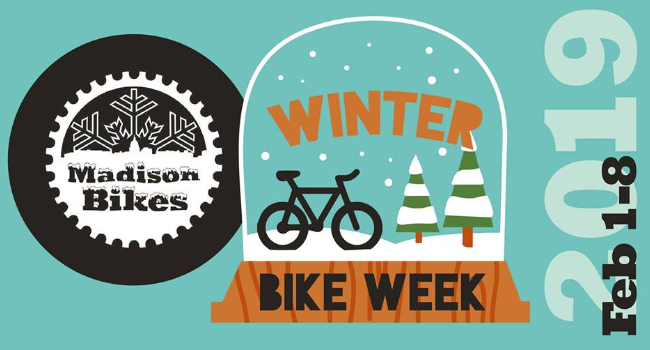 Topics include how to lube your chain, change a flat tire, check your brakes, how to properly lock your bike, and also answer any questions you may have. Open to anyone that owns a bicycle regardless of where you purchased it from! 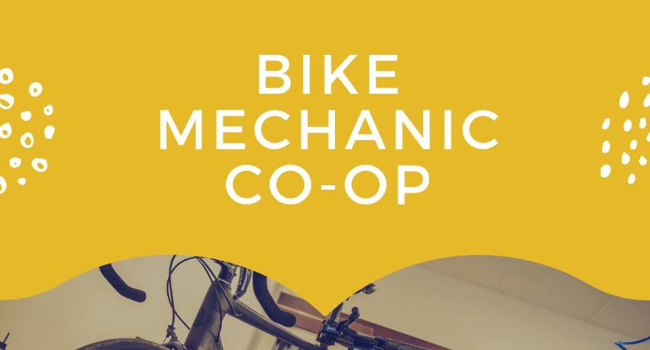 6pm @ 664 Riverside Ave.
Drop-in maintenance Mondays – Keep your bike working with regular maintenance at Old Spokes Home’s Community Workshop. Our friendly staff mechanic will be armed with lubricant, cleaner, grease, and air – making it easier for you to keep your bike in great shape. Also, we’re happy to answer any questions that you might have! Note: Maintenance Mondays are not for repairs — for help performing repairs to your bike, consider Guided Repair. 6pm – 355 Clarence St.
Cycling in Cuba is a unique and memorable experience. 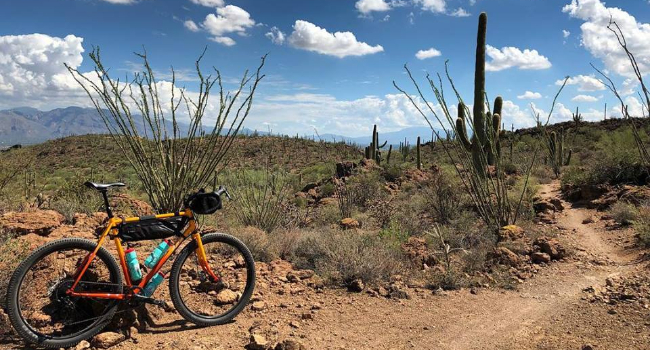 Photos and discussion will cover travelling with your bike by plane, touring options, and what to expect as you navigate the Cuban countryside. A focus of the discussion will be the Celia Sanchez Tour that provides an immersive experience into Cuban culture and the revolution that changed the country, visiting the landing site of Fidel Castro, his mountain hideaway, and many other sites of interest. 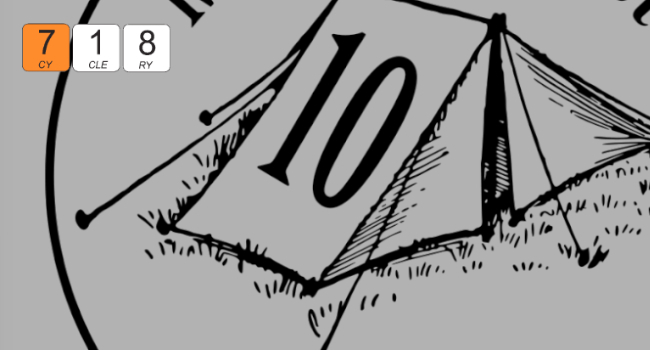 The event is FREE – please indicate you are attending to have a reserved place. The espresso bar will be open. At the Mappy Hour town hall earlier this month we heard one thing loud and clear – New Yorkers want to learn more backcountry and survival skills. Luckily, FreeStone Expeditions Greg Wilson is helping us create an entire series filled with bushcraft, campcraft, and survival skills. More details and registration can be found here. 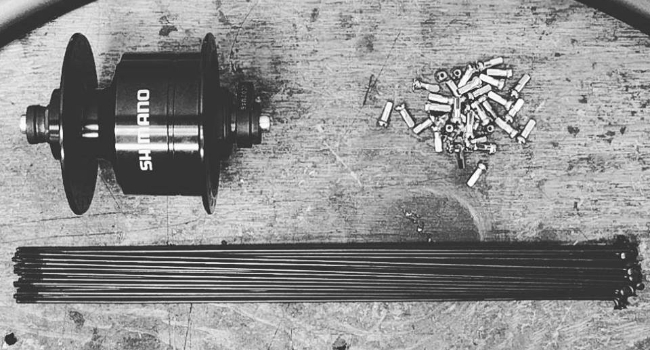 6pm – 9pm at 1404 Williamson St.
Come join Tim of The Cargo Bike Shop for an evening of wheel building. Perfect for all abilities, from first timers to those with a familiarity with wheel repair and building. We will start with a review of wheel components and theory and then move into lacing, tensioning, and trueing. At the conclusion of the night you’ll leave with a better understanding of bicycle wheels and your very own handbuilt wheelset. 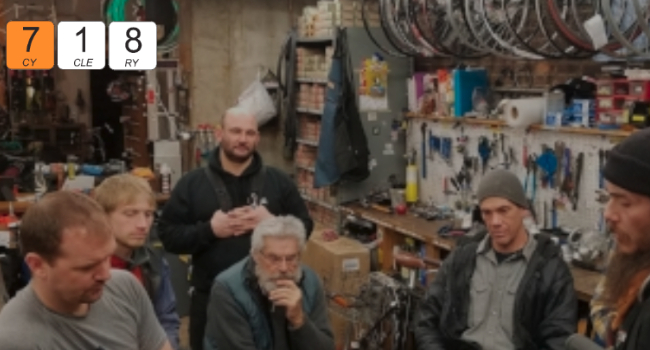 This class covers basic points of do-it-yourself maintenance to get you self-sufficient with you bike. In addition, this class can serve as a gateway to learning more about these great machines. More details and registration can be found here. 8am – 9:30am @ 322 N. Winooski Ave.
12pm @ 322 N. Winooski Ave.
Join our bucket brigade. It’s just like helping your friends move, but better, because there will be pizza! We’ll be packing up inventory and moving it across the street. 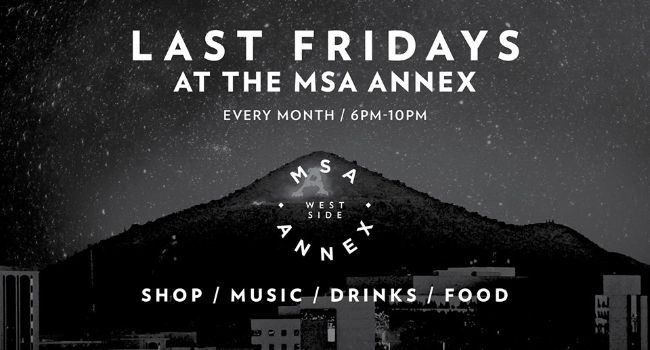 3pm – 4pm @ 3334 N. Holton St. 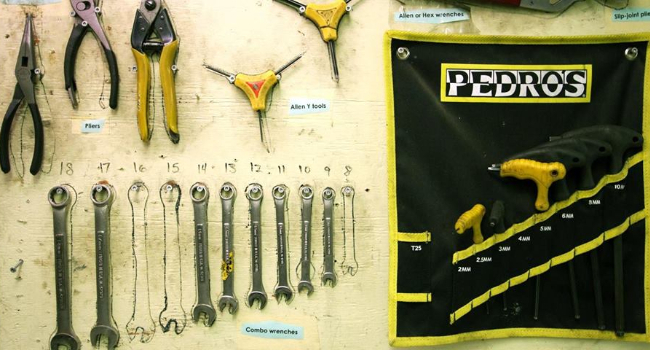 Interested in wrenching for yourself? 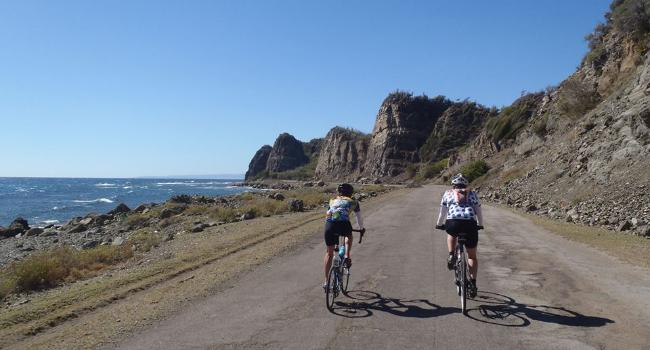 Find out more about how to become a monthly or daily contractor on the website and at the meeting- reach out to Carolyn at coastinbikes@gmail.com or PM Coast In Bikes to arrange a meeting outside a meeting. 10:30am – 11:30am @ 900 SE Hawthrone Blvd. by Books with Pictures inclusive comics shop and read to you by Kidical Mass PDX biking parents. What, you wanted a bike ride, too?! 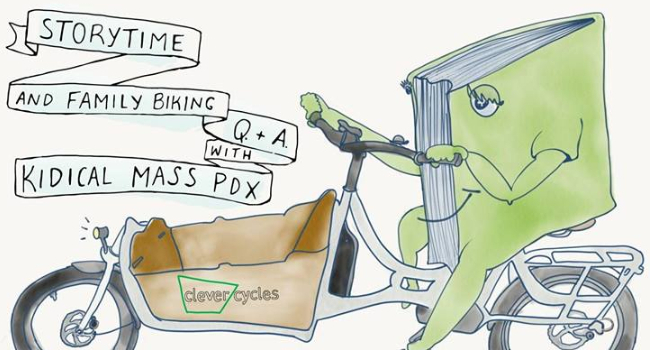 We’ll be biking the 3/4 of a mile along a family-friendly route ( https://ridewithgps.com/routes/29134902 ) to Books with Pictures after each hour-long storytime/Q&A. Suitable for even the smallest riders. 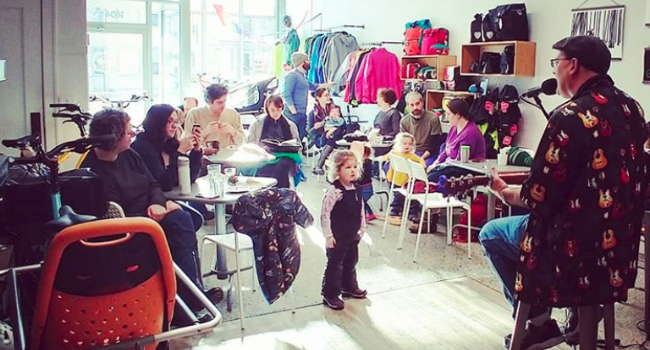 Come a little early to ask about borrowing a bike for the ride–Clever Cycles has a few bakfietsen and longtail kid-carrying cargo bikes to loan for families who want to join in on the fun. This is the class to take if you want to get rid of that annoying rubbing sound. Braking systems, while plentiful, mainly follow the same few principals in terms of function and maintenance. More details and registration can be found here. 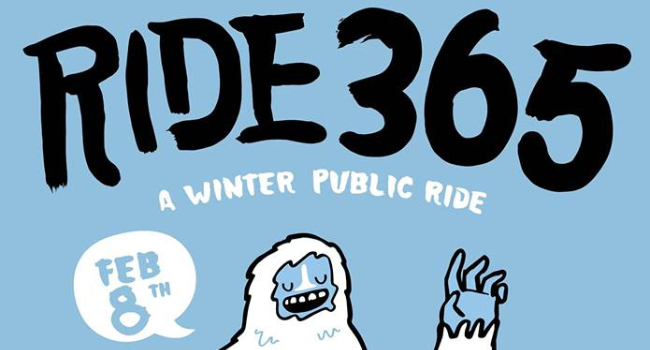 WE ARE HEADED TO FARMSTEAD BIKE SHOP FOR SNOWTUBING! WEAR YOUR BEST FEBRUARY FLANNEL. 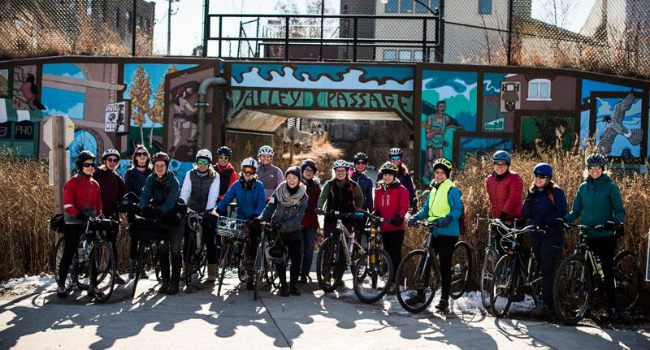 These ~7–10 mph rides are 10–15 miles long, and every participant gets one free beer or N-A beverage courtesy of Surly. Riders of all speeds and experience levels are welcome, no one’s left behind, and you can count on high-fives galore. 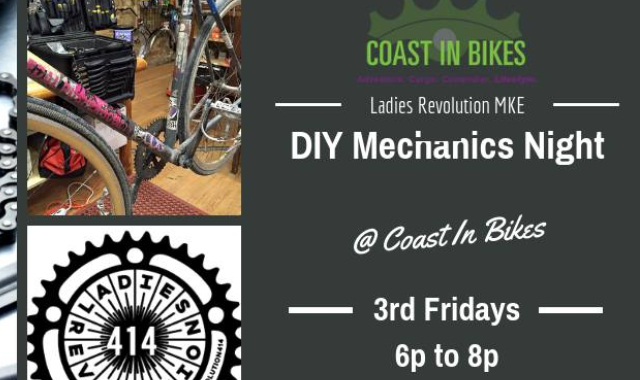 6pm – 8pm @ 3334 N Holton St.
“Join us every 3rd Friday at Coast In BIkes. We’ll have all the stands open for you to work on your bike, teach you how to work on your bike and coffee/tea for you to enjoy and just hang out with like-minded FTW cyclists. 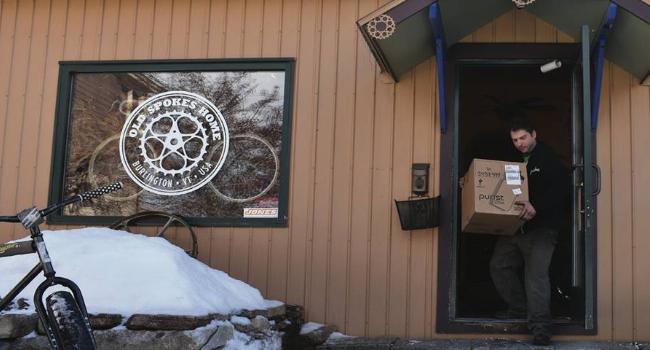 “We’ve got a bike shop on the East side of Winooski Avenue, and it needs to go on the West side. 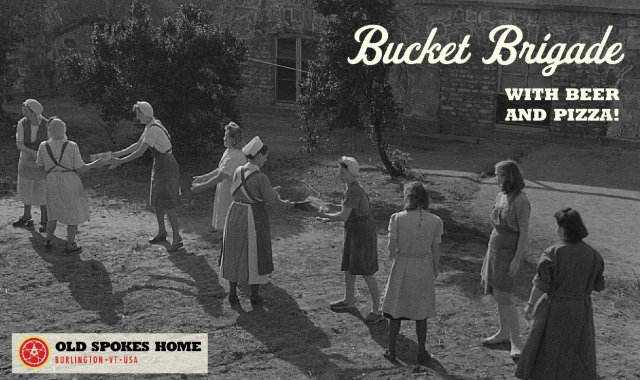 To achieve this awesome feat, we’re asking all of our friends to come form an old-school bucket brigade! Afterwards, we’ll celebrate in the new shop with a pizza party and a homebrew beer tasting from our friends at Full Barrel Co-op Brewery & Taproom.” See event page for more details. 1pm – 4pm @ 3618 W. Pierce St.
“Interested in wrenching for yourself? Find out more about how to become a monthly or daily contractor on the website and at the meeting- reach out to Carolyn at coastinbikes@gmail.com or PM Coast In Bikes to arrange a meeting outside a meeting. “by Books with Pictures inclusive comics shop and read to you by Kidical Mass PDX biking parents. “Come join Tim of The Cargo Bike Shop for an evening of wheel building. Perfect for all abilities, from first timers to those with a familiarity with wheel repair and building. 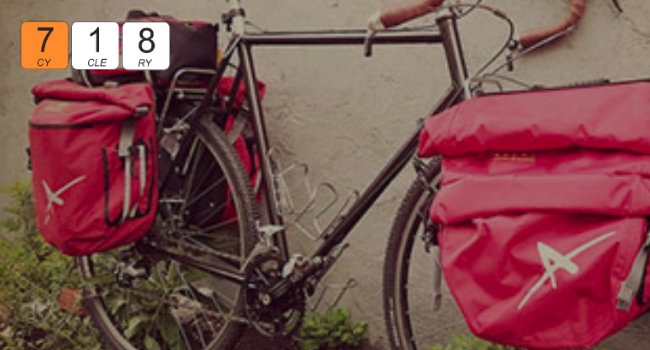 9am @ 1404 Williamson St.
Join our friends at The Cargo Bike Shop for a morning of coffee, music, bikes and friendship! 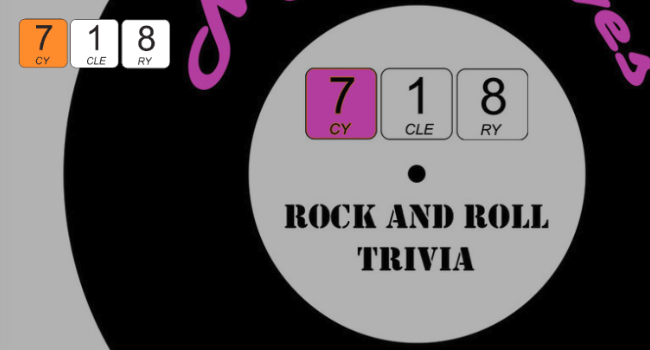 1:30 – 2:30 @ 4001 Bryant Ave. S.
“Begins January 26th. Please register by January 19th. 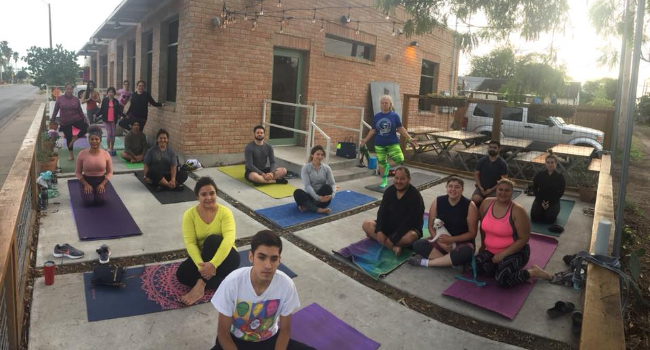 Join us for a 5 week yoga series to take care of the bodies that get us where we’re going in our lives (via bicycle)! 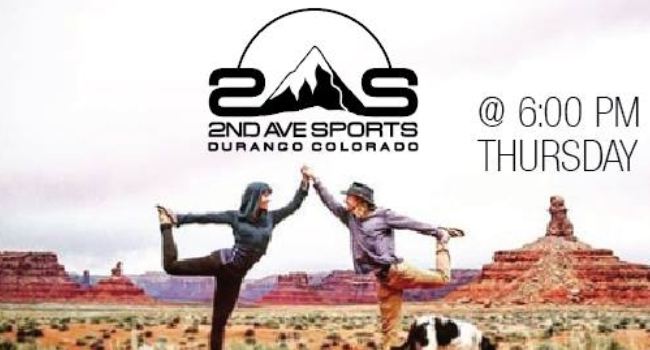 This yoga series will be focused on stretching the muscles that works so hard for us, strengthening key areas that may be overlooked in cycling, opening the chest & hip flexors, as well as fascia release / self massage methods. All will be connected to the breath to increase focus, alertness, and body awareness. 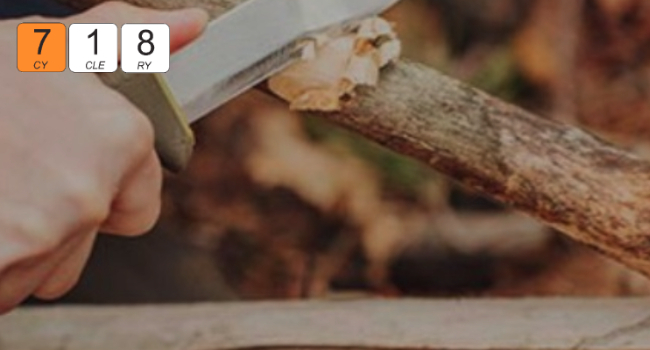 You’ll be invited to practice at home with a simple home practice each week (with handouts!) This series is beginner friendly, open to all levels, & a perfect compliment to active lifestyles during the cold season. 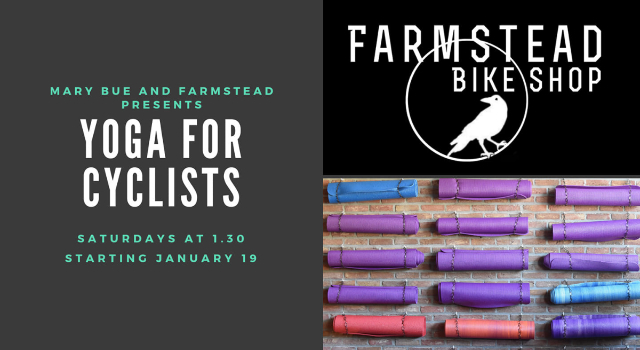 On behalf of Farmstead Bike Shop, Mary Bue Yoga + The Warming House, we look forward to practicing with you!